Wikitoki is a movement, a platform and a catalyst of relationships. Physical Space: We occupy a 370 m2 multipurpose space in la Plaza La Cantera. It is a space for working, meeting and connecting. It includes different areas in order to balance the flows and linkages between our spaces and dynamics with the optimization of comfort in everyday cohabitation. The idea of having a physical place – which is not central but it is important – shows our commitment to create a common space of our own where we can socialise, be represented and become visible to others. Digital Space: We understand our digital tools (web page, social networks, multimedia channels…) as connectors of information, resources, projects and people, beyond the idea of generating an archive. Network: We are part of a network that connects us with other similar and complementary agents, initiatives, spaces and programs that work at local and international levels. 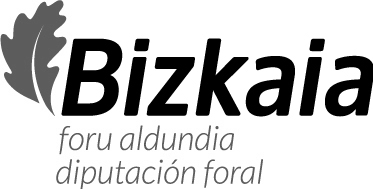 Wikitoki is originated and contextualized in the San Francisco neighbourhood, in Bilbao. In fact, most of the supporters of Wikitoki have been previously working in the neighbourhood or participating in some of its citizen dynamics. This is an opportunity for us to go one step further in that direction. That is why we wish to interact and search for complementary and win-win relationships between Wikitoki, its related agents and the socio-economic and cultural life of the neighbourhood.